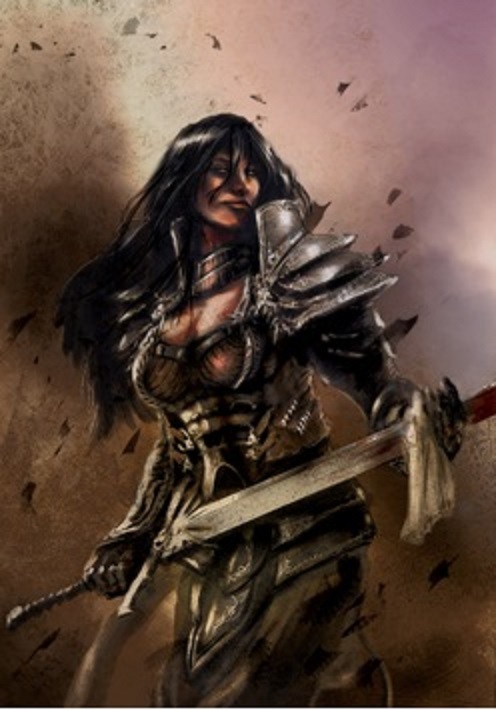 Warrioress Shalya Dormyr’s Art Reveal! Posted by Raven Bower on June 26, 2013 in Books, News | Comments Off on Warrioress Shalya Dormyr’s Art Reveal! Anyway, Lain and I are proud to show off the absolutely AWESOME artwork and armor for Weeping Dark: Bleeding Edge’s main character – the spunky warrioress Shayla Dormyr! The artist is Carlos Diaz, one of our Hydra Games artists who has also done all of the artwork for the Andronia: Region of Turmoil world guide (coming soon!) and he’s currently working on the huge art list for Primal Earth, Hydra Games’ urban fantasy rpg setting. His artwork is superb, his insight into flow and movement is just amazing.